Edited by #1 New York Times bestselling author David Baldacci, this one-of-a-kind anthology pulls together the most beloved characters from the best and most popular thriller series today. Worlds collide! Joseph Finder and Lee Child teamed up for “Good and Valuable Consideration,” in which Nick Heller and Jack Reacher do some good on the streets of Boston. 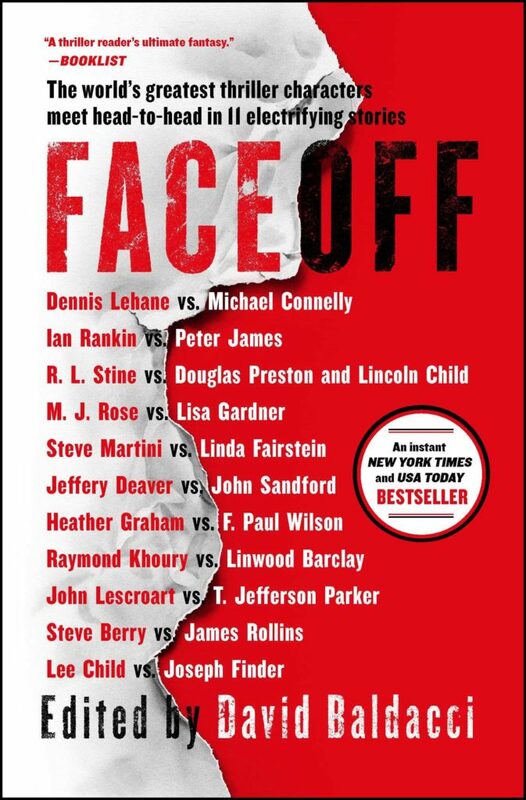 Other matchups include Dennis Lehane’s Patrick Kenzie with Michael Connelly’s Harry Bosch; Jeffery Deaver’s Lincoln Rhyme with John Sandford’s Lucas Davenport; and Heather Graham’s Michael Quinn with F. Paul Wilson’s Repairman Jack.